If there’s anything that puts me in a tizzy it’s spring cleaning. We are a v neat and tidy household (most of the time) and are constantly running after Xavi to keep it that way despite his trying to you know, be an animal and all. Something else on my mind — I’m finding as I get older, the loads of chemicals attached to those cleaning products are becoming less cute and more stunning. We don’t have children yet but one day we will and I’m not sure I’m down with filling our space with products that are harmful, especially to them. So, I’ve found myself leaning more and more towards finding natural alternatives to take their place. 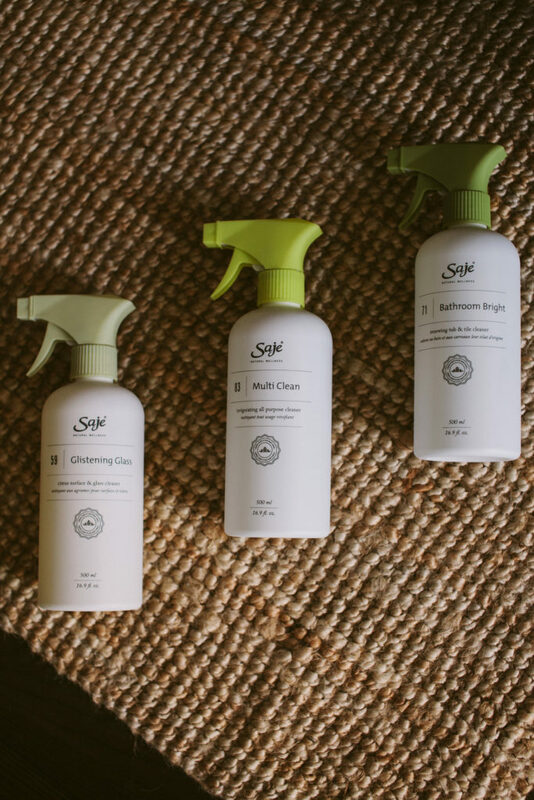 When I heard that Saje Wellness (which is easily one of my favourite local brands) was coming out with a line of plant and mineral-based cleaning products I knew I had to get in on the action. Let’s explore the line together, shall we? 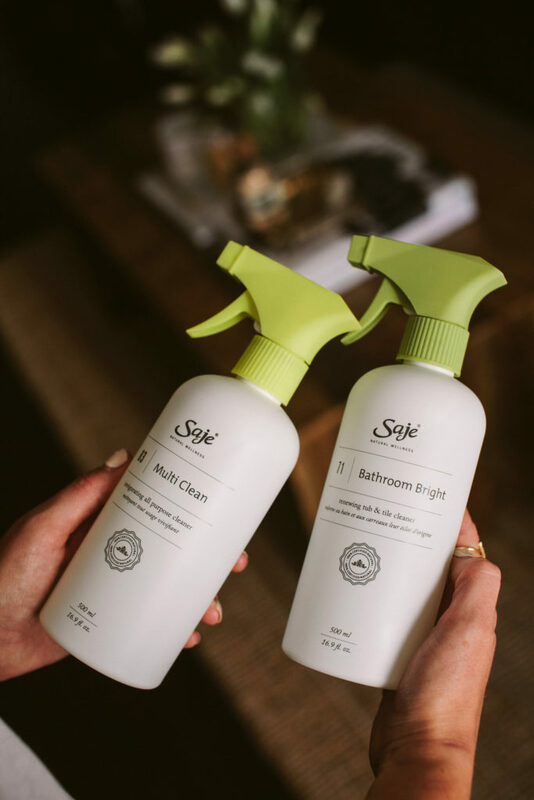 + Multi Clean All Purpose Cleaner: this multi surface cleaner helps remove dirt & grease with the grime-fighting power of peppermint, lavender & rosemary essential oils. + Glistening Glass Surface & Glass Cleaner: we are big windex people so this one is a biggie! Helps give windows, mirrors and fixtures a streak-free shine with a citrus-y scent & powerful blend of lemon, grapefruit & orange essential oils. I was a bit apprehensive before we tried it, but it works like magic and a little goes a long way. + Bathroom Bright Tub & Tile Cleaner: freshen up your bathroom with bright notes of lemon, tea tree & thyme essential oils. Helps to remove build up, residue and soap scum with the power of plants. Great for cleaning your tub, tile, shower & sink. 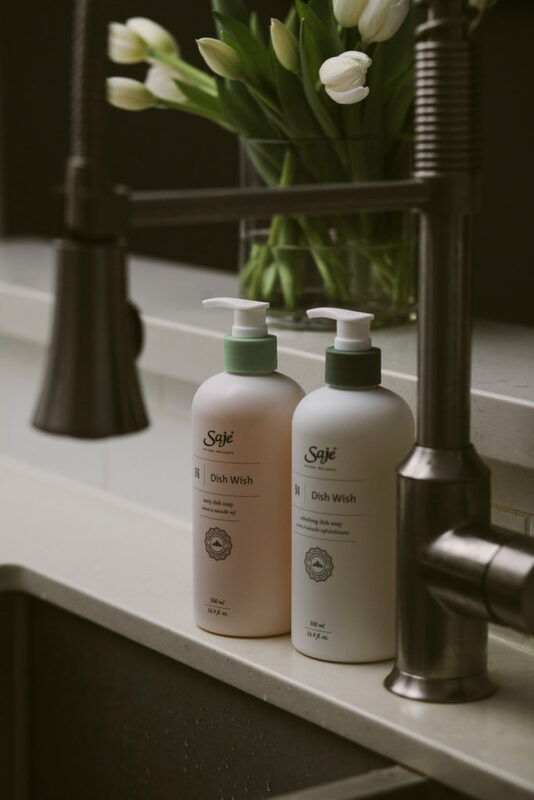 + Refreshing Dish Soap: Saje carries two different dish soaps, both are amazing (and currently at our sink) and this one is the grease-fighting blend of spearmint, lavender and rosemary essential oils. It’s gentle on your hands but tough on cleaning pots, pans and glassware with a refreshing scent. + Zesty Dish Soap: this zesty citrus dish soap hits all the same points as the Refreshing one but with a brightening blend of lemon, grapefruit, and orange essential oils. 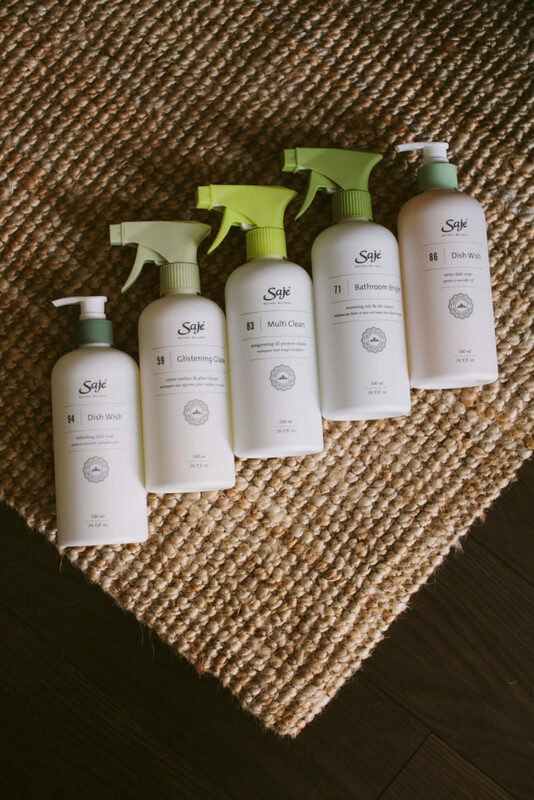 What I love about Saje is their commitment to creating products that are 100% natural. 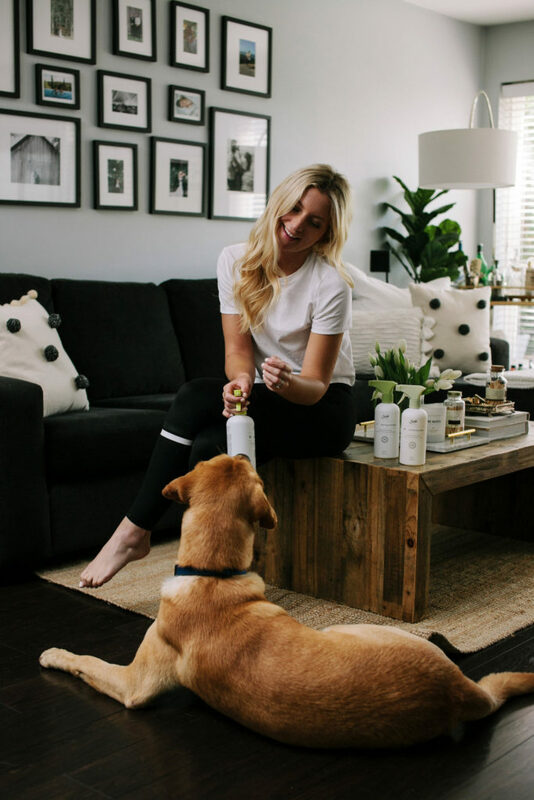 Every ingredient they use is clearly listed — no synthetics, no fillers: just nature. 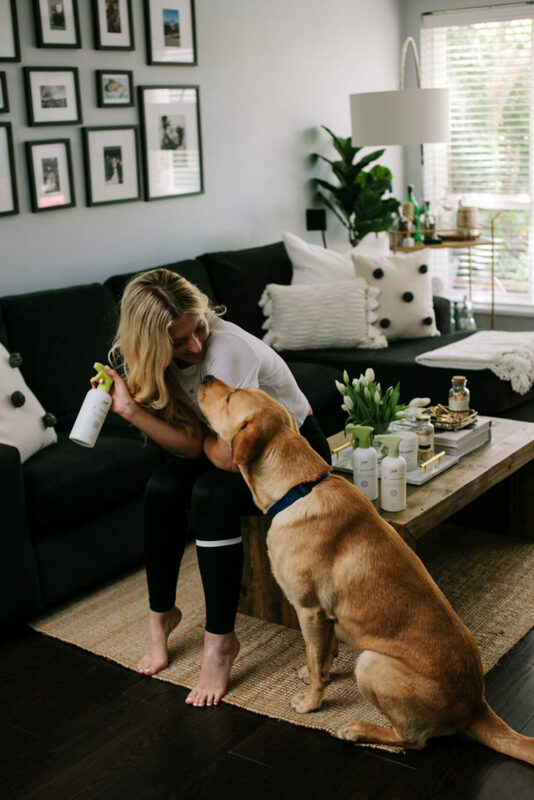 Their cleaning products are non-toxic and free of ammonia, chlorine bleach, phthalates and artificial fragrances. 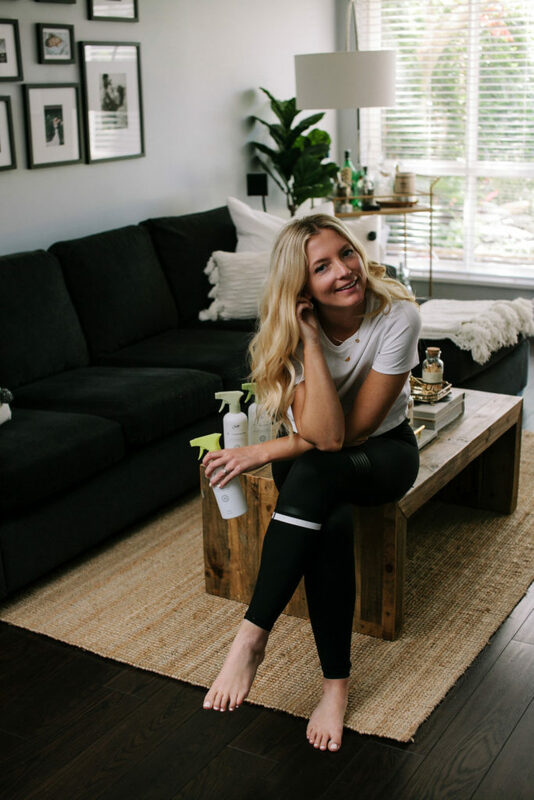 Using only 100% natural and eco-friendly options means you can breathe easy knowing your home is as clean as your conscience. Brilliant! 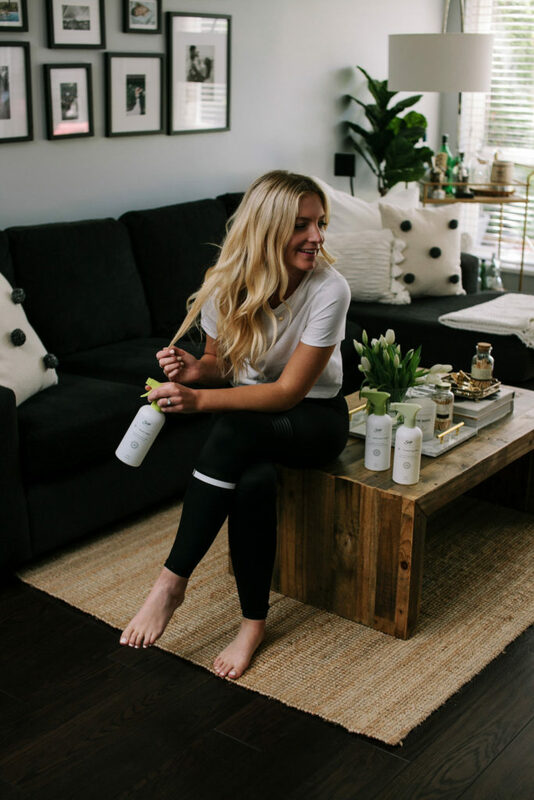 Today I’m teaming up with Saje Wellness to give TWO readers a shot at winning the entire line! 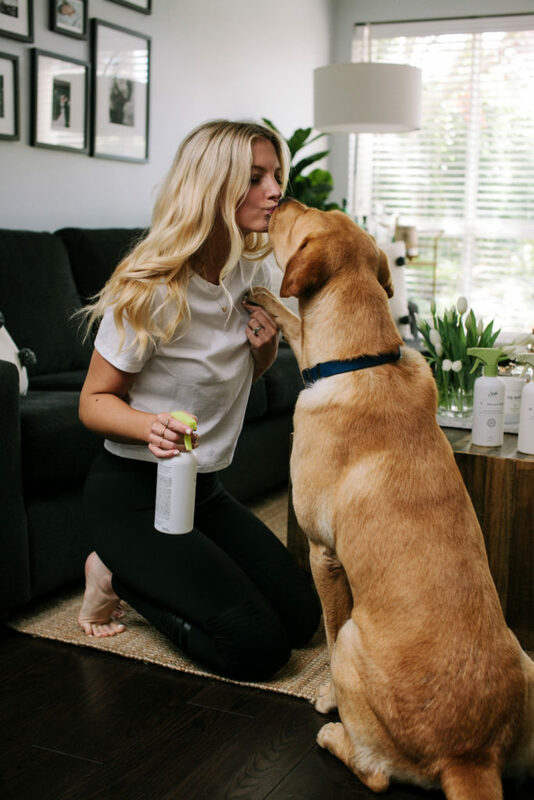 This post is in partnership with Saje Wellness. As always, all thoughts & opinions are my own. You have me intrigued! I hope I get to try this out. I love Saje and totally agree with you that I want to keep chemicals out of my house! 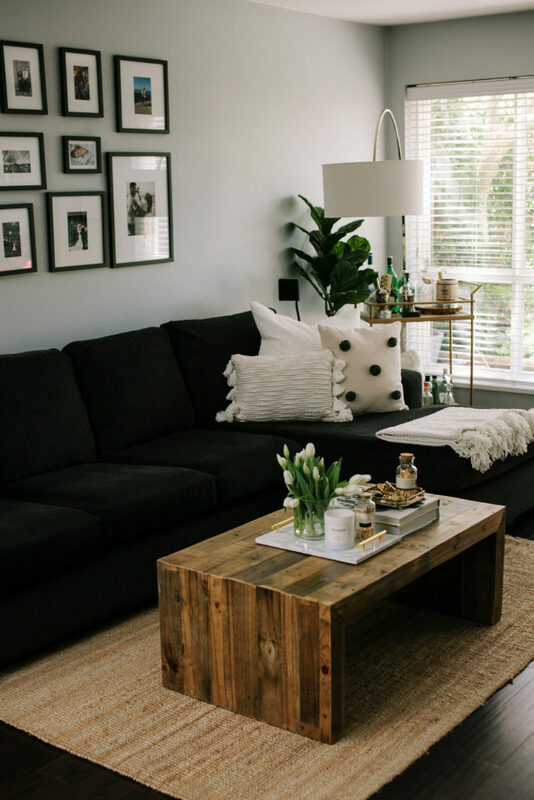 I absolutely love those black frames on your wall… definitely some inspiration for my family photos coming up! 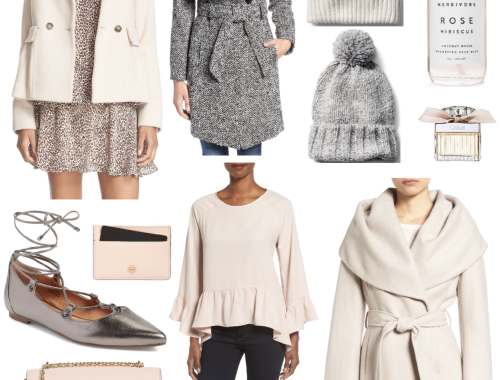 eek excited about the saje line too i hadn’t heard about it until now! 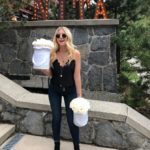 SO into this giveaway! Love Saje Wellnesss!! Fingers are CROSSED! I’d love to try these out to get my house ready before we have our baby! Nesting is in full effect over here! 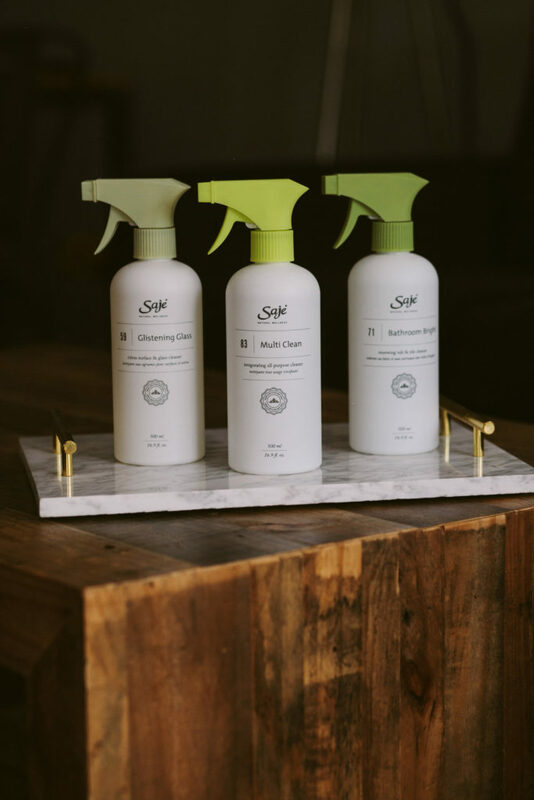 saje products are the best, can’t wait to try their cleaning products! This looks amazing!!! I bet your house smells delicious! Thank you! I would totally love to try these products, sounds perfect! 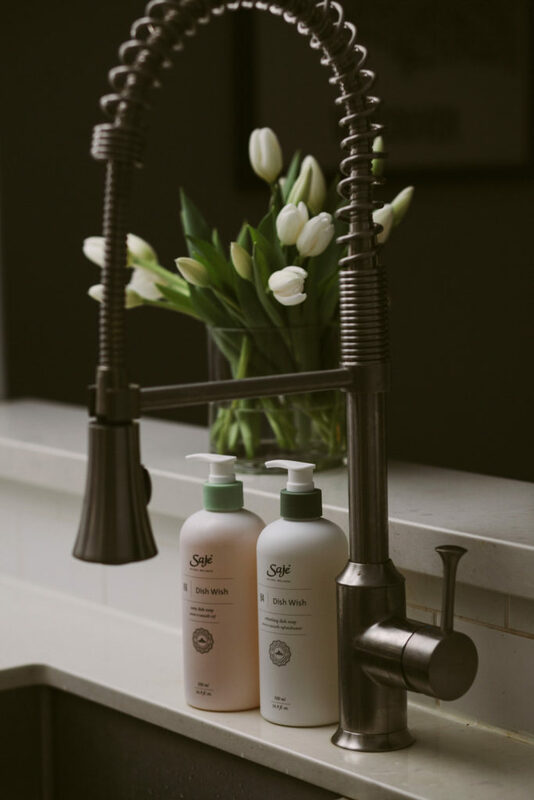 I am so happy Saje came out with these products! I really need to finish my spring cleaning.